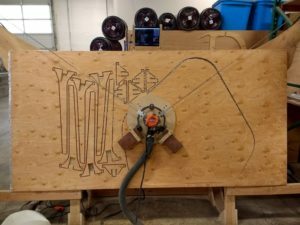 Wednesday Night Spotlight 11/21: Maslow Open Source CNC: Lets Try It Out! The frame and mechanical components are complete, Lets take the next steps to get this bad boy running tonight! The build is underway as we continue the next steps on building the new open source CNC during Wednesday Night Open Space 11/21. Maslow Open Source CNC: Lets Try It Out! The frame and mechanical components are complete, Lets take the next steps to get this bad boy running tonight! The build is underway as we continue the next steps on building the new open source CNC during Wednesday Night Open Space. The Maslow CNC is a unique “vertical” CNC router and is notable for its low cost. The unique vertical design mimics a hanging plotter allowing it to have a 4′ x 8′ cutting area with a footprint 10′ wide x 19″ deep. Maslow CNC graciously provided CT Hackerspace the official kit to start the project. 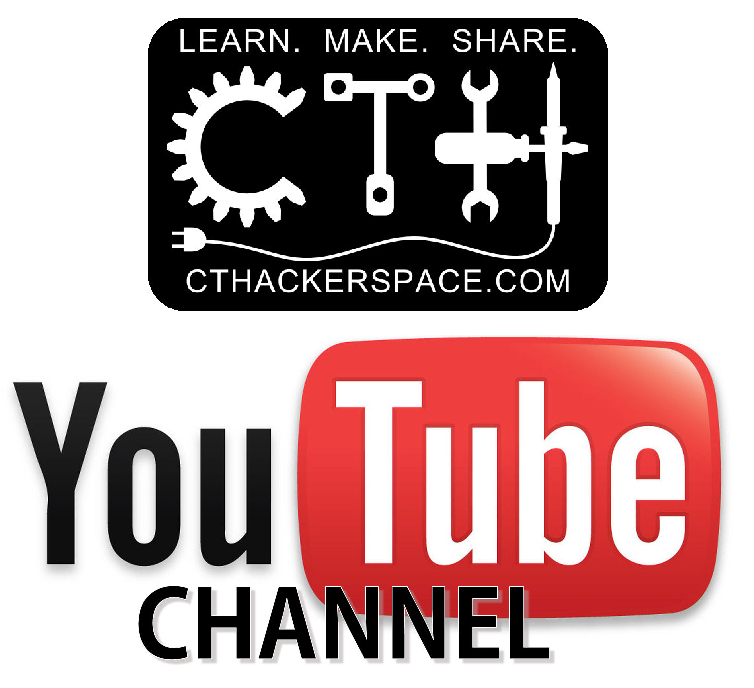 The CT Hackerspace community, active in hobbyiest CNC ventures, immediately took up a collection for additional materials needed to build out the machine. The community is excited to see the Maslow running in our workshop, side by side with 2 existing DIY CNC builds, along with the Stepcraft Multifunction CNC.